Entertainment Weekly’s Family Room section appears to be back in the pony business, with an exclusive teaser trailer. Catch it embedded after the break, or by clicking the link above. As you might imagine, the trailer spoils some jokes and plot points. 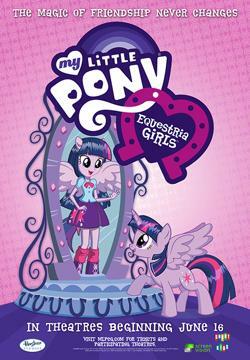 A fair amount of information on MLP books was posted by EW (once again). 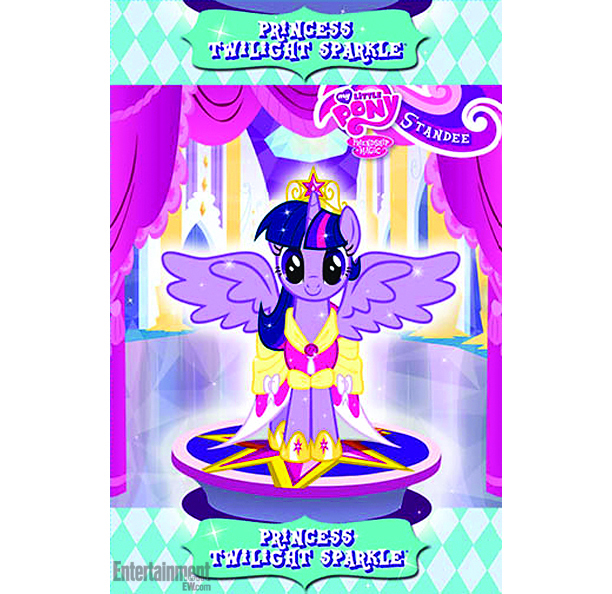 Pictured above is a punch-out trading card bundled with Twilight Sparkle and the Crystal Heart Spell, while they also have a gallery containing images from The Elements of Harmony (due in June), a guidebook for the series, the Mini Pony Collector’s Guide (due in October), which comes with an exclusive blind bag figurine pictured in the gallery, and Under the Sparkling Sea. Also, Meet the Ponies of Ponyville, Welcome to Equestria, and Twilight Sparkle and the Crystal Heart Spell hit retail today, evidently. Have at it. Personally, I’m most looking forward to the guidebook in June. Headline is the extent of the news, more or less. Click the image for the source article, from Entertainment Weekly’s Family Room. Entertainment Weekly has once again provided us with a weekly preview of what’s to come, and this time it’s in regards to the season 3 finale. The article is 100% spoileriffic, so don’t click it unless you want your mind to explode. The two-week pony hiatus is coming to a close, with Entertainment Weekly posting their preview of this Saturday’s episode, Keep Calm and Flutter On. Check it embedded past the break, or click here for the source article.